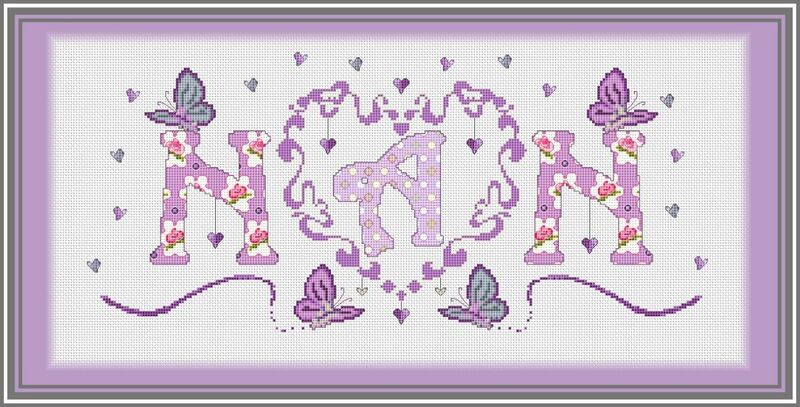 Complete kit bespoke "Nan" nameplate with lilac, silver and grey colour scheme. Heart detail. 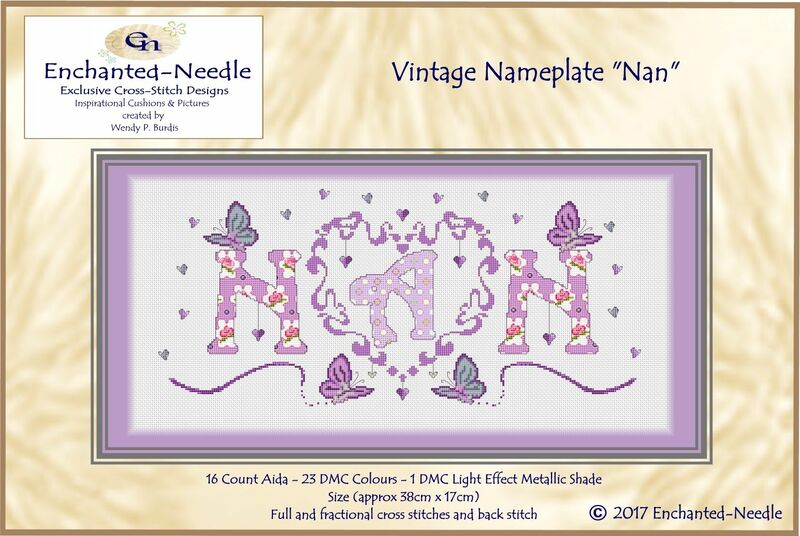 Kit includes: Colour Cover Sheet, Aida, Needle, Pre-sorted DMC Threads, Colour Symbols Chart & Legend, Instructions and Plastic Wallet.